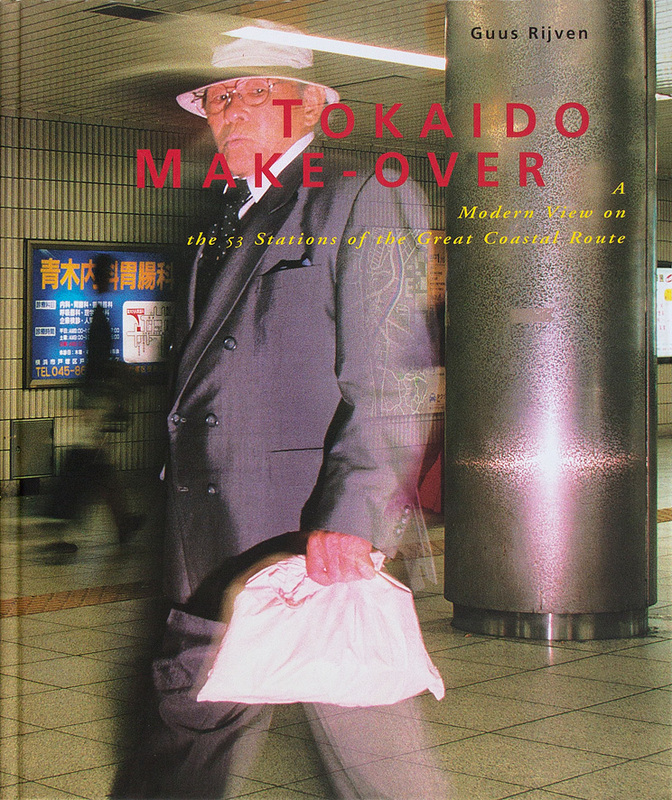 For centuries, the Tokaido or Great Coastal Route has been the most important road in Japan. Over a distance of five hundred kilometres it connected Imperial Kyoto with Worldly Edo, now known as Tokyo. The 53 post stations planned by the government in the 17th century along the road developed into distinct villages. Besides being a functional connection between two important cities, the Tokaido with its stopping-places was a source of inspiration for artists. In the 19th century various woodcut print series of these stations were being published, made as a visual commentary on the stages of the route; they served the common traveller as a souvenir as well a memento of the hardship. Railway construction rapidly made the Great Coastal Route superfluous when Japan underwent the rigorous transition from a 'medieval' society to a 'modern' state in the second half of the 19th century. Besides a jagged line drawn on a map, what remained after the road was no longer needed for transportation was an idea, perfectly reflected in numerous books and hundreds of woodcuts. The existing route remained in spirit only. Tourists finally gave the Tokaido a new purpose, waking it from 150 years of 'hibernation'. The circle is practically round, rebirth a fact: from a functional road connection to the source of travels to a leisure time destination. The organisation of this book is based on the traditional series in which each print has its own character and individual qualities while the characteristics of place, landscape, society and sometimes history are reflected in the picture. A series of Tokaido prints used to give visual commentary on life on the road and the surrounding landscape along the whole route. My route passes by the cities and villages of the 53 stops. The starting principle was that each of the photographs had to be self-evident, not necessarily needing the others in the series. The sum of the parts offers comment on the designed landscape and therefore on its inhabitants as well. In the book the page next to each photograph serves it by going into depth about a detail or idea encountered in the picture, but the photograph itself is not explained. A spectrum of subjects covers past and present in all sorts of historical, political and cultural fields. If the photographs present a cross section of modern Japan at the beginning of the 21st century, the texts peek beyond that horizon. They throw a glance over the shoulder to the past and lay the series in the bed of time. This way a journey over land becomes a journey in the mind. It is the view of a Dutchman, the vision of an outsider.